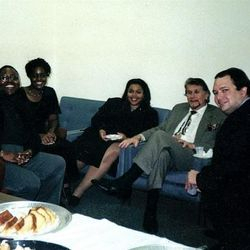 1998 William Penn Foundation Grant $30,000 grant awarded to the Darlington Fine Arts Center for a special "At Risk Music Outreach project" in Chester Pennsylvania. 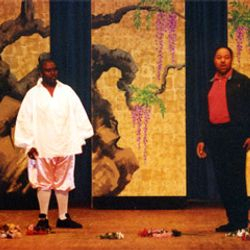 I was the co-author of the grant proposal and musical director of the project. 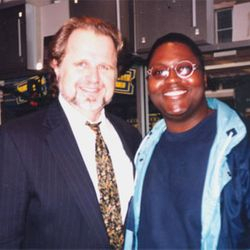 1994 Recipient of the John Gutscher Memorial Award $200 academic award towards musical studies at the undergraduate level in Music Education. 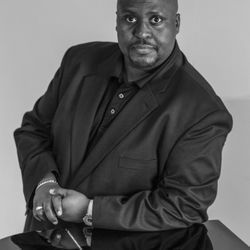 “...Gerald’s powerful and passionate voice provides the intensity and drive that makes the work so thrilling.... .” Carmina Burana "2014"
Gerald Blanchard, lyric baritone is a native of Philadelphia Pennsylvania. 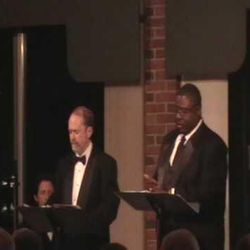 Critics have described Mr. Blanchard's voice as... "Dynamic and virtuosic. 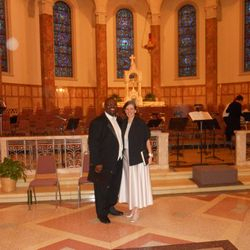 “and "rich and expressive" after attending the Pennsylvania premier of Ron Nelson's "The Drifter" under the direction of Maestra Mary W. Green and the Kennett Symphony Orchestra. 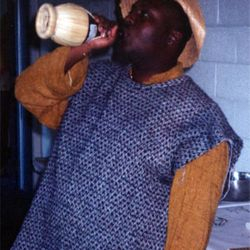 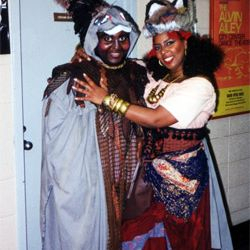 Among his many awards and recognitions, summer "2000", he was a first place winner in the Opera Memphis National Singers Search auditions. 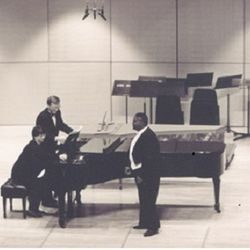 Blanchard is also a Gil Rau Choral Scholar, a King/Chavez/Parks Fellow and was the "2001" Classical Division winner in the inaugural vocal competition sponsored by the Greater Lansing Symphony Orchestra. 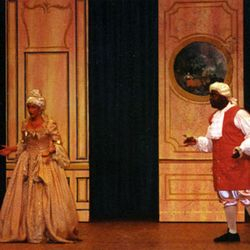 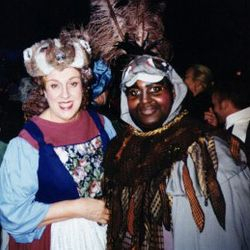 Blanchard made appearances with numerous opera companies and music festivals throughout North America including the Grand Teton Music Festival & Opera (Wyoming), Lake Afton Early Music Festival (Pennsylvania), Opera Delaware, Bel Canto Lyric Opera Company of Philadelphia (Pennsylvania), Dorian Opera Theatre (Iowa), Music Society of Midland (Michigan), The Delaware Humanities Forum Players and the BCV Performing Artist Opera and Concert Artists of which he is founding artistic director. 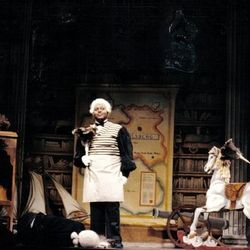 His Operatic highlights include Die Fledermaus (Falke), Cosi fan Tutte (Don Alfonso), Orpheus in the Underworld (Jupiter), Le Nozze di Figaro (Figaro), Il matrimonio segreto ( Count Robinson), and Madama Butterfly (Bonze). 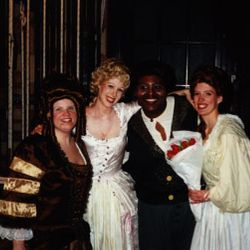 On the concert stage, he has made appearances with such notable organizations as the Philomel Chamber Orchestra (PA), The Philadelphia Orchestra and Choral Arts Society (PA), Detroit Symphony Civic Orchestra (MI), Lake St. Clair Symphony (MI), Battle Creek Symphony Orchestra (MI), Chester County Brass (PA), Northeastern Philharmonic (PA), West Chester Symphony Orchestra (PA), Kennett Symphony Orchestra (PA), Shaw String Ensemble (PA), The Greater Lansing Symphony Orchestra (MI),Adrian Symphony (MI), Flint Symphony Chamber Orchestra (MI), Festival Chorus and Orchestra of Central Michigan, Sacred Heart Chorale of Montreal, The Plymouth Oratorio Society and Eastern Michigan University Choirs, University of Rochester Choirs, Singing City Chorale of Philadelphia and countless others. 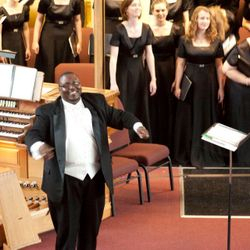 He has been featured in numerous performances of Orff's Carmina Burana, Handel's Messiah, Mozart's Requiem, Haydn's Lord Nelson Mass, Bach's Magnificat, Beethoven's Symphony No. 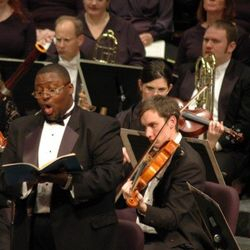 9, Bach's The Passion According to St. John, Schubert's Mass in G, Mozart's Mass in C minor, Vaughn Williams' Fantasia on Christmas Carols and Haydn's Creation. 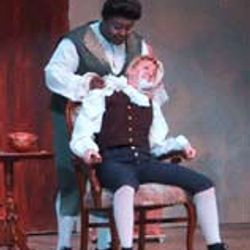 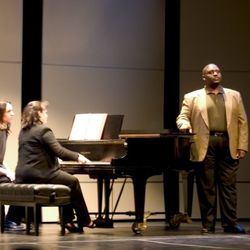 Blanchard has concertized throughout the United States, Europe and Canada. 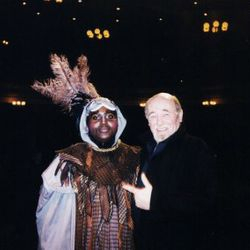 Most recently he performed as soloist at the Kirchentag Festival in Bremen Germany. 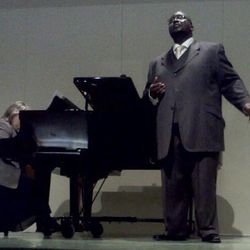 Many of his performances have been broadcasted on public radio and television stations throughout the country, including a recent vocal recital featured on PBS station WCMU in Michigan. 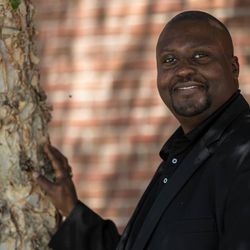 With a love for new musical projects and collaborations, Mr. Blanchard has appeared in concert with Jazz artists Rodney Whitaker, Wycliffe Gordon, and Rick Roe. 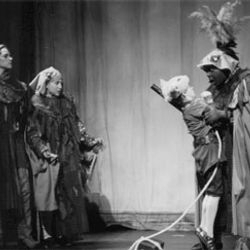 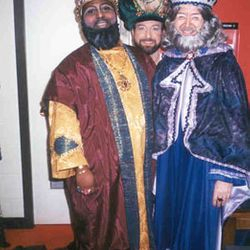 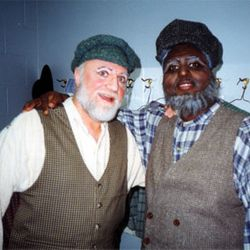 On the new works opera stage, he created the role of "King Spara" in Opera Delaware's 1997 world premiere of Evelynn Swenson’s opera "The Legend of Redwall Abbey." 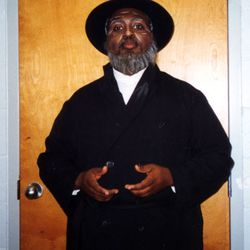 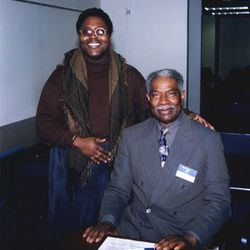 During the summer of that same year, he also created the role of William Still (Father of the Underground Railroad) in the world premiere of Joyce Hill-Stoner and Scott F. Mason's musical documentary "Delaware's Railroad to Freedom" which aired on PBS stations throughout the east coast. 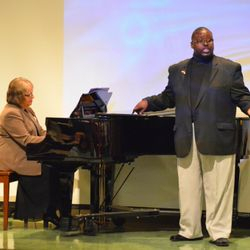 Blanchard is currently the director of vocal/choral music at Kellogg Community College, Battle Creek where he serves as the Artistic Director of the Branch County Community Chorus in Coldwater, MI. 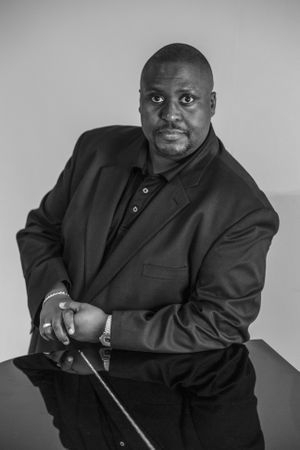 Dr. Blanchard is also the new director of the Union City Community Chorale (501c3 organization). 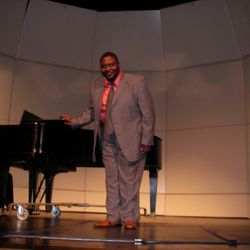 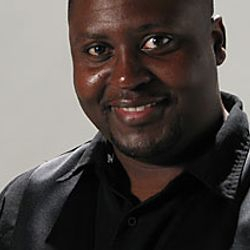 He recently served on the voice faculties at the University of Michigan (Flint), Adrian College, Lansing Community College, Michigan State University and Central Michigan University Community Music Schools. 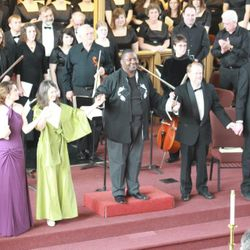 As a conductor, Dr. Blanchard's choirs have toured both nationally and internationally giving performances in Michigan, Ohio, Indiana, Illinois, Pennsylvania, New York and Massachusetts. 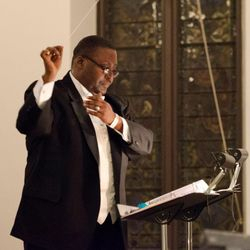 His ensembles regularly collaborate with major musical organizations such as the Sacred Music Festival in Kalamazoo, The Battle Creek Symphony Orchestra, Haydn Festival Orchestra and the Monroe Community Chorale and Symphony. 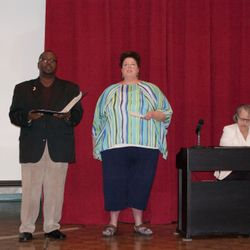 Summer 2014, the KCC Choral Union returned to Europe giving performances throughout the Amalfi Coast and Rome. 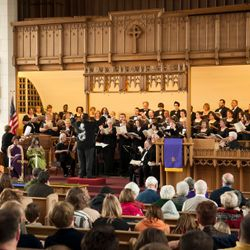 Past European performances took place in Ireland where the choirs performed at the Cork Cathedral, St. Anne's in Dublin and at the Presbyterian Church in Malahide. 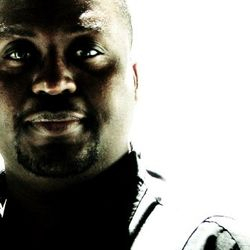 His ensembles have opened for Grammy award winning groups including; Take 6 and Sweet Honey in the Rock. 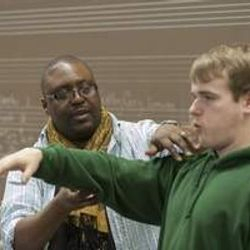 Dr. Blanchard holds the BS in Music Education from West Chester University (Pennsylvania), the MM from Central Michigan University and the DMA in Voice Performance from Michigan State University. 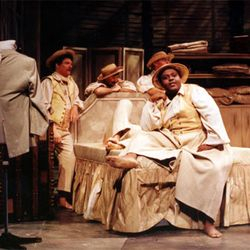 He most recently studied voice under the guidance of Daniel Washington (baritone), Robert Bracey (tenor) and Jeffrey Foote (basso cantante). 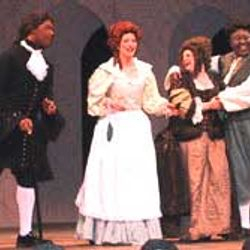 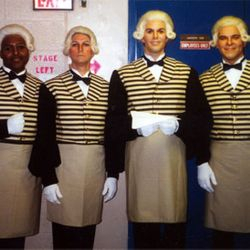 Other teachers have included the renowned "Teatra Alla Scalla" basso profundo Julian Rodescu (deceased), coloratura soprano; Wendy Miller, lyric soprano; Jane Wyss and lyric tenor; William Decker. 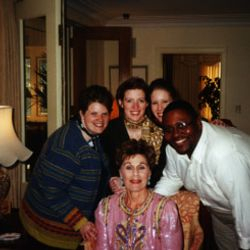 Blanchard has also coached with tenor Paul Spencer Atkins (University of the Arts), mezzo-soprano Marianne Cassiello (Curtis Institute) mezzo-soprano Karen Brunssen (Northwestern University), and renowned Metropolitan Opera tenors, George I. Shirley and Richard Fracker and baritone, Sherrill Milnes.